Please join us for our regular Transportation Action Team meeting! This team meets monthly on the third Thursday of every month. The Waste Reduction team brings together recycling directors, solid waste management coordinators, corporate sustainability managers, waste haulers, educators and advocates to develop strategies to dramatically reduce waste by promoting reuse, recycling and reduction. The Waste Reduction Action Team meets monthly on the third Friday of each month, 12:00 - 1:30 pm. The Greenspace Action Team will meet monthly in 2019 on the 3rd Tuesday of the month from 1:00 - 2:30 pm. Please note: January's meeting has been rescheduled to January 22nd. Meets monthly on the first Thursday of each month, 8:30 - 10:00 am. Join stakeholders in the energy efficiency and renewable energy sectors to advance the team's 2020 goals to double the local production of renewable energy AND reduce the total energy consumption in the built environment by 15%. The team meets the 2nd Wednesday of every month from 8:30-10:30 am, which includes time for networking. Registration Opens February 25, 2019! 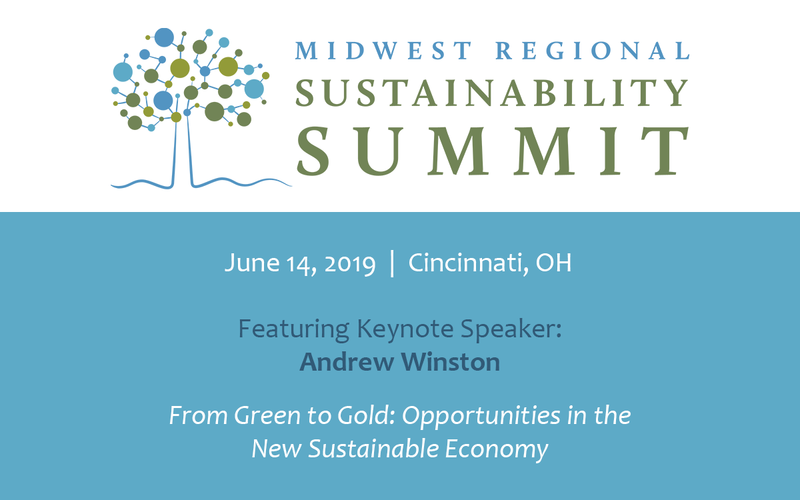 In 2019, the Midwest Regional Sustainability Summit will continue to explore new and promising areas of environmental sustainability by focusing on opportunities in the new green economy. We will take a look at how businesses, institutions and communities are finding success by incorporating sustainable practices into their operations. A keynote address by Andrew Winston, a globally recognized speaker and writer on business strategy and mega-trends. Winston advises many of the world’s leading companies on how to navigate and profit from solving humanity’s biggest challenges. 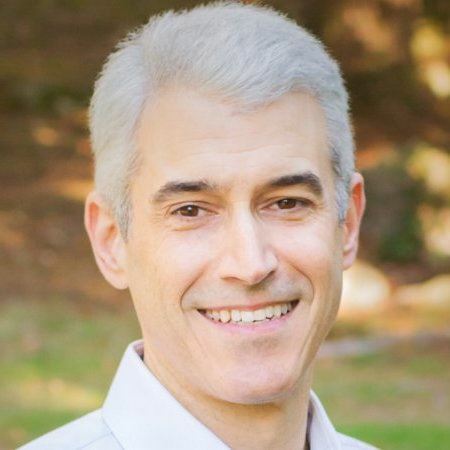 He is the author of The Big Pivot and co-wrote the international bestseller Green to Gold. Breakout sessions where attendees can dive deeper into issues such as energy, transportation, innovations in water technology, institutional food purchasing, waste reduction, healthcare, cultivating emerging leaders, greening communities and green workforce development opportunities. Each year, we seek to widen the table for discussion around the issue of environmental sustainability. We bring together a broad audience that seeks to engage in thoughtful discussion, share best practices, celebrate the work that is currently being done in sustainability throughout the Midwest and identify areas for future regional collaboration. We invite all who are interested to join us on June 14, 2019 and be ready to deepen your understanding and expand your network. Each year, we seek to widen the table for discussion around the issue of environmental sustainability. We bring together a broad audience of professionals who seek to engage in thoughtful discussion, share best practices, celebrate the work that is currently being done in sustainability throughout the Midwest and identify areas for future regional collaboration. We invite all who are interested to join us on June 14. Learn more about opportunities for Sponsorships and Exhibitors. All sponsors will be featured on the website as well as in the Summit’s printed program booklet. Most sponsorships come with an exhibitor booth and a minimum of two tickets to the Summit. Take a look at the benefits below to find the right sponsor level for your business or organization. We consider the Midwest Regional Sustainability Summit to be the premier sustainability conference in the Greater Cincinnati Region. If you’re looking to make business-to-business connections, this is the perfect opportunity to highlight the products and/or services your business offers. Build your brand, engage potential customers and improve relationships with current customers as an exhibitor in the Exhibitors’ Hall. For additional information please contact Ryan Mooney-Bullock. To find out how to become a Green Umbrella member, visit our Membership page. Hike, Kayak, Bike, Climb, Garden, Fly Fish & More! Celebrate the outdoors on September 28 and 29 for Great Outdoor Weekend! Explore events around you for a weekend of FREE fun activities! Try a new activity or visit a new organization or greenspace. Enjoy the natural beauty of our region while supporting the parks and organizations in the area. Find your adventure at GreatOutdoorWeekend.org!